Ludwig Wittgenstein is considered one of the greatest philosophers of the 20th century. While much of the notes written during his most productive years were destroyed, several remain; Notebooks 1914-1916 is comprised of a particular set of personal notes from the period during which he wrote Tractatus Logico-Philosophicus, detailing his thoughts and ideas during a critical period in his life. 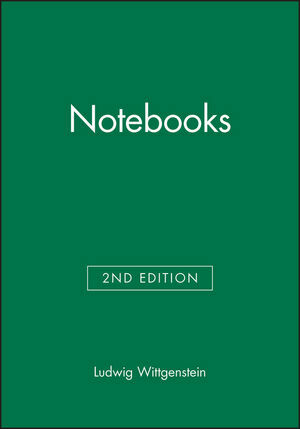 Published with Wittgenstein's native German parallel to the English translation, this new second edition includes new notes and photographs of the original work. Ludwig Wittgenstein - 1889 - 1951 - was an Austrian-British philosopher who taught at the University of Cambridge and is known as one of the most important philosophers of the 20th century. He worked in the areas of logic and the philosophy of mathematics, the mind and language. The majority of his writing was published after his death.